Before he died in 1999, Stanley Kubrick was working on a re-release of “2001: A Space Odyssey” to coincide with the year it had made synonymous with sci-fi cinematic glory. Since “2001” was (and remains) my favorite Kubrick film, one I sometimes cite as having inspired my leap into film reviewing, I eagerly anticipated its return to full theatrical display. So, in early 2002, when only a few 70mm prints of the film had appeared in scattered locations with close to zero promotion, I wrote an article scolding Warner Bros. (which now holds the rights to a film that MGM originally released) for so callously ignoring the well-timed wishes of one of the most esteemed artists ever associated with its brand. The article brought a thank-you from one of Kubrick’s associates, and while that email has long since disappeared, I’m pretty sure it came from Leon Vitali, the subject of Tony Zierra’s fascinating documentary “Filmworker.” As the film makes clear, Vitali has been a zealous guardian of Kubrick’s legacy and work since the director’s death, a role that mirrored the one he played during his life. In essence, he was Kubrick’s Man Friday from the 1970s on, a role that required him giving up a burgeoning career as a young actor in film and TV in Britain. 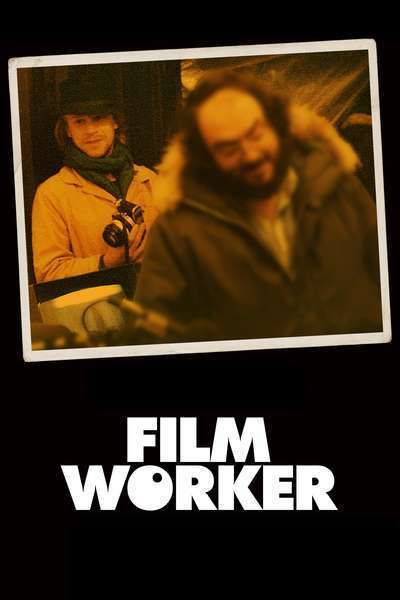 That decision was an existential choice that echoes throughout “Filmworker.” Why would a promising actor sacrifice his own artistic ambitions to serve as a glorified gofer for another artist? Interviewed throughout Zierra’s film, Vitali—now a scraggly 70-something—never evidences the least doubt about the rightness of his decision, and he’s clear about what led to it. Much as I did, he came out of his first viewing of “2001” completely stunned, sure that he’d just seen the best movie ever made. When “A Clockwork Orange” appeared, he was similarly wowed, and began to think of the possibility of working with the director—as an actor. His own career was taking off by then, and the casting of Kubrick’s next film, “Barry Lyndon,” brought the chance he’d dreamed of. He acquitted himself well in the substantial role of Lord Bullingdon, Barry’s resentful stepson, even though it entailed certain rigors: he recalls Kubrick telling Ryan O’Neal to hit him harder and harder as they did endless takes of a fight scene. It was as a result of “Barry Lyndon” that Vitali conceived of working for Kubrick behind the camera. The director suggested he get some appropriate experience, so he worked in the editing room of a Frankenstein movie, then came back. His first assignment was to go to America and cast the role of Danny in “The Shining,” for which he screened thousands of children before finding Danny Lloyd, who remembers the close bond they formed during filming. The Kubrick that emerges from Vitali’s intimate perspective still has an element of mystery—carefully cultivated, one might say—as he did during life. He could be hot or cold, chummy or distant, depending on with whom he was interacting. Like a celluloid J.D. Salinger, he lived as far from the entertainment centers as he could (in rural England) yet he clearly understood the usefulness of his reputation as one of the seventh art’s greatest masters. Above all, he cared about the work, and for that the love and devotion of Leon Vitali were of incalculable importance. My one quibble with “Filmworker” concerns its treatment of Vitali’s private life. For much of its length, it’s easy to get the impression that he worked 24-7 and did nothing besides. Then, suddenly, it emerges that he has three children and they are all grownups! Assuming they didn’t fall from the skies like the Star Child in “2001,” the kids must’ve come from somewhere, but we get no hint of the relationship(s) or history that produced them. There are of course understandable reasons for such discreet omissions, and these ultimately don’t compromise the portrait that “Filmworker” offers of Vitali, whose main life choices combined admirable humility with a fierce and unshakable conviction about serving art in his own way.